Dichroic colour-effect filter "FS Blue 495"
The colour "Blue" is the resulting effect of transmission while yellow - orange is reflected (day view). The colour appearing at the top view on the filter glass is always the complementary colour to that colour which appears at the through-view. 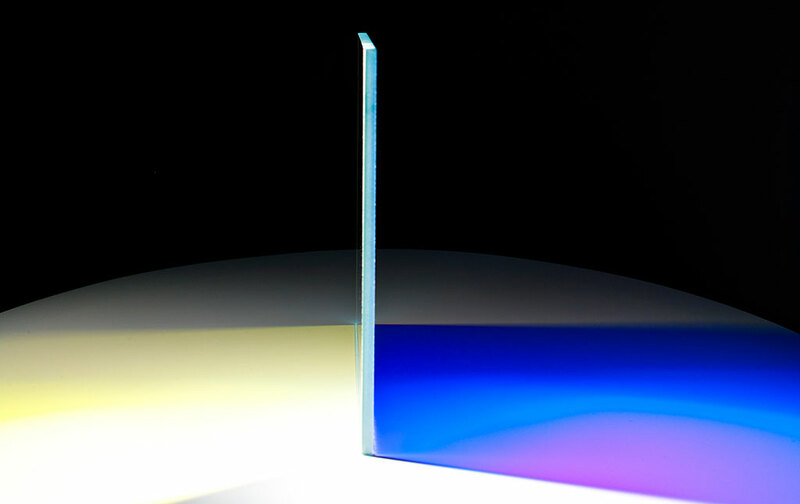 Size and thickness of the glass sheets can be chosen.. We can also match your specifications regarding the range of colours (or gradients) and the intensity of the effects.